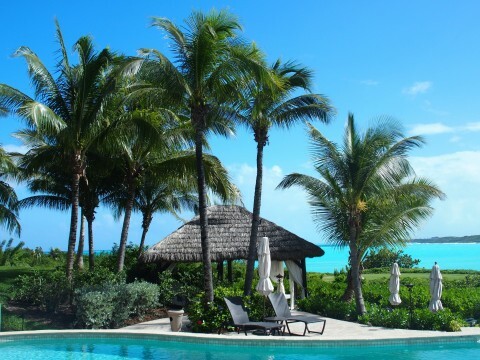 On the island of Great Exuma in the Bahamas, there is a luxury resort that exudes a feeling of kindness and generosity. Guests find their expectations exceeded on a daily basis. Claudine Williams, the Hotel Manager at the Grand Isle Resort, was asked if there was a unique training that goes into making guests feel so special. “I wish I could take credit for this. The truth is, the Great Exuma community has a natural gift for pleasing people,” Williams said. 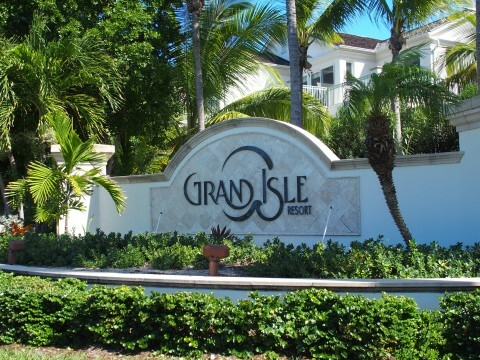 Guests initially choose Grand Isle for the resort’s Five-Star accommodations. 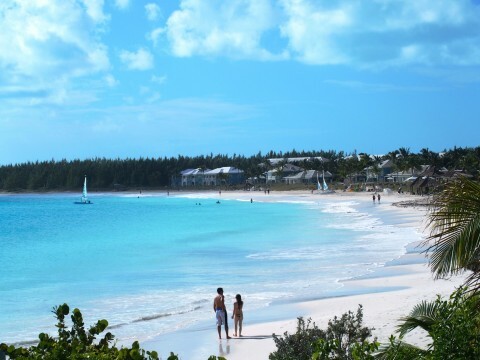 But what brings you back is a natural charm that seems to be a way of life on Great Exuma. Whether you meet a bartender, housekeeper, or upper management, this “what can I do for you” personality is exhibited at every turn. 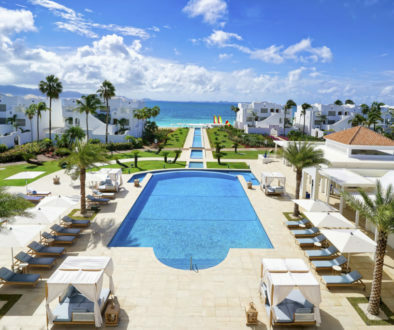 What’s interesting is the Grand Isle service standard begins before you set foot on this 11-acre resort which showcases Emerald Bay Beach, a Greg Norman designed golf course, and the Caribbean Sea. Once you’ve made your reservation, the Grand Isle concierge team strives to make your life easy. Can we help with airport transfers? Can we reserve a rental car? 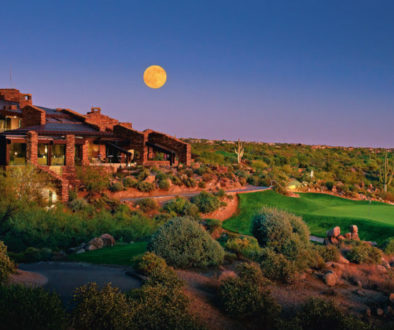 Would you like a golf cart to explore our beautifully landscaped grounds? Can we arrange for a legendary Out Island excursion? Can we stock your villa’s refrigerator in advance? By the time you arrive at Grand Isle Resort, it’s conceivable your only stressor is deciding which island cocktail to select for Happy Hour. If you’d like the concierge team to arrange for airport transfers, that means a driver will be holding a sign with your name emblazoned on it at Great Exuma’s petite international airport. The commute from the airport is an easy 15-minute drive. Before you can say “Bahamas,” Grand Isle’s stately gates swing open just for you. 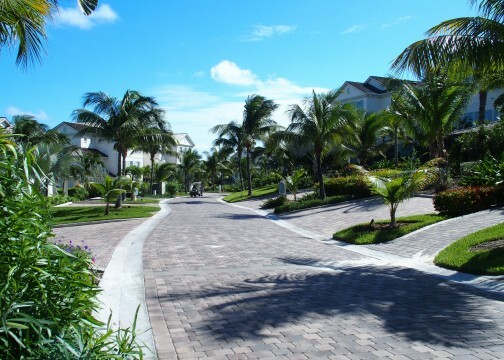 Grand Isle displays a certain curb appeal, starting with their roadway of multi-colored pavers flanked by palm trees and colorful Caribbean foliage. Upon stepping into your villa’s entrance, you’re impressed by a gourmet kitchen and spacious living area that compliments a spectacular view of the marina, golf course, and Caribbean Sea. Your bedroom and on-suite bath are resplendent in upscale island décor. 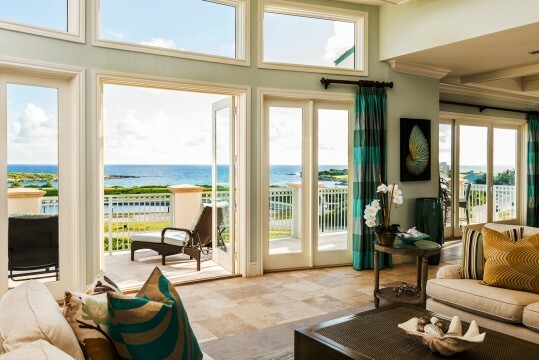 First impressions reveal an island getaway with posh amenities at every turn. Then there are the views! Whether you’re a seasoned traveler or on your first island escape, feasting one’s eyes on the Caribbean Sea is a bucket list favorite. You discover that the turquoise water Grand Isle guests fawn over delivers shades of blue and emerald green that will not be found anywhere else in the world. As you step out to your balcony and swivel at your villa’s sweeping view, the words, “I could get used to this,” scrolls through your subconscious. Grand Isle’s hub, or social gathering place, is the deliciously scenic Palapa Grill. Conjure an image of what an open-air restaurant with a Caribbean ambiance should feel like, and the Palapa Grill checks every box. The two-tiered restaurant is covered by a huge thatched roof. With soft Calypso music playing overhead, your upcoming breakfast, lunch, and dinner is an opportunity to utilize all your senses. 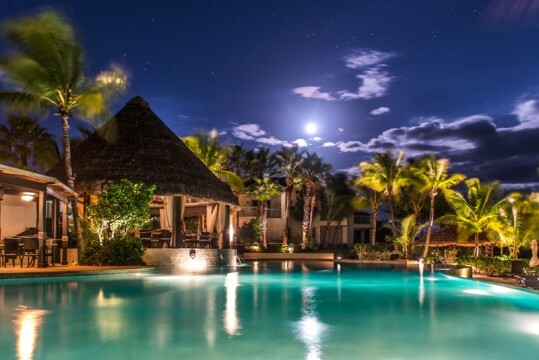 You start by gazing at Grand Isle’s infinity pool, lush landscaping, wealth of palm trees, and then a beautiful crescent-shaped beach framed by the Caribbean Sea. When you’re ready to focus on your sense of taste, prepare to be rewarded by Grand Isle’s scintillating menu of fresh seafood, classic North American cuisine, Caribbean favorites like jerk chicken, and fall off the bone ribs. Your palette is further whetted by Grand Isle’s special cocktails featuring names that are as fun to say as they are to drink. Enjoy a Goombay Smash, an Exuma Blue, or a Bahama Mama. Then just sit back and chill. When Jelinek refers to color, he’s speaking of the amazing shades of blue and green that made their Caribbean Sea the perfect setting for two of the most popular movie series of all-time. 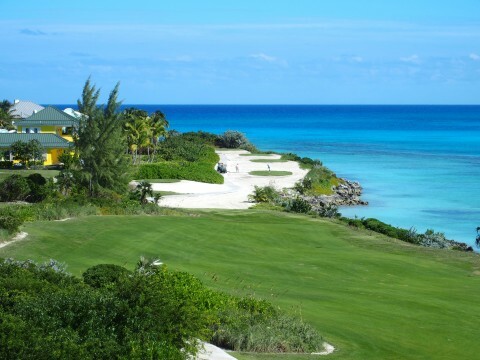 Great Exuma is home to James Bond’s “Thunderball,” as well as Johnny Depp’s “Pirates of the Caribbean.” Depp loves Great Exuma so much, he purchased a home there. 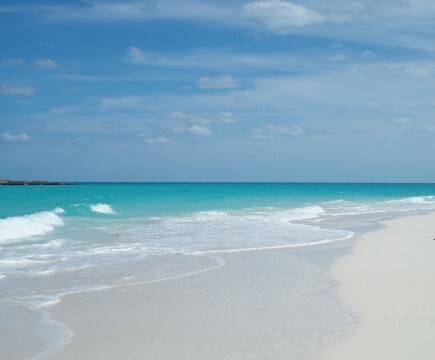 In fact, Great Exuma and its 365 islands are so magical; David Copperfield purchased his own island on nearby Musha Cay. 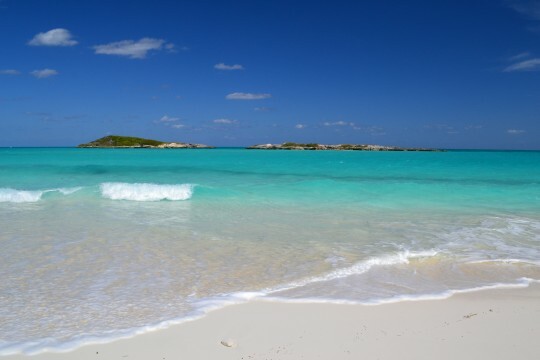 Great Exuma has something for everyone. 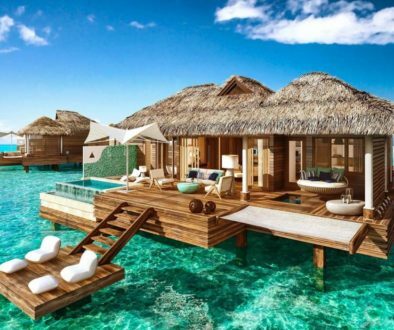 At Grand Isle Resort, neighboring Sandals Emerald Reef Golf Course weaves most of its back nine around Grand Isle’s 78 villas. What’s great for Grand Isle golfers and photo buffs is that Emerald Reef’s most dramatic ocean holes are easily visible from many of the Grand Isle balconies. With all Grand Isle has to offer, what really sets this resort apart from other luxury properties is its gift. The staff’s natural fondness for pleasing guests rubs off in a way that just feels good. Guests leave Grand Isle carrying a certain Caribbean glow that shines well beyond their vacation stay.